Granger successfully completed a complex renovation for the MSU Foundation office building on Collins Road in Lansing, Michigan. The project provided functional and cost-efficient improvements to the three-story, 62,000 square-foot facility, which will be occupied by approximately 618 employees. The building was originally built in 1983 and formerly served as the State of Michigan Security Emergency Command Center which offered specialized functions for the State and Homeland Security. The scope of work included a total gut and redesign of the interior spaces to accommodate an open office floorplan throughout the three floors with a more contemporary vibe. The newly renovated building provides open office areas as well as hard wall offices on the perimeter to house various departments from MSU. 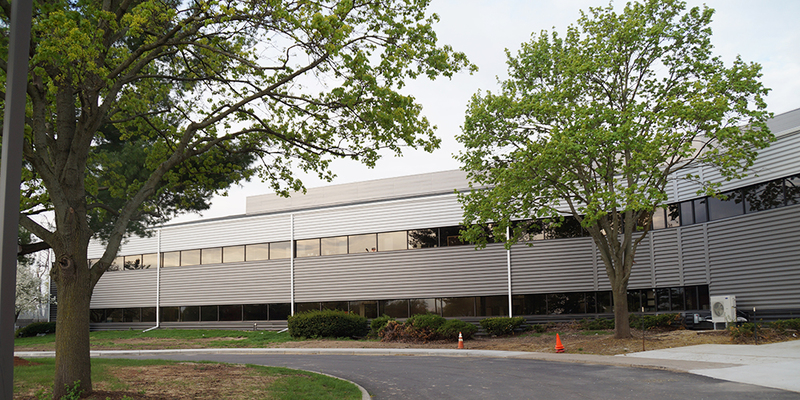 Renovations were also completed on a separate one-story, 15,000 square-foot auxiliary building adjacent to the main building to accommodate a new lab, storage and future tenant space.